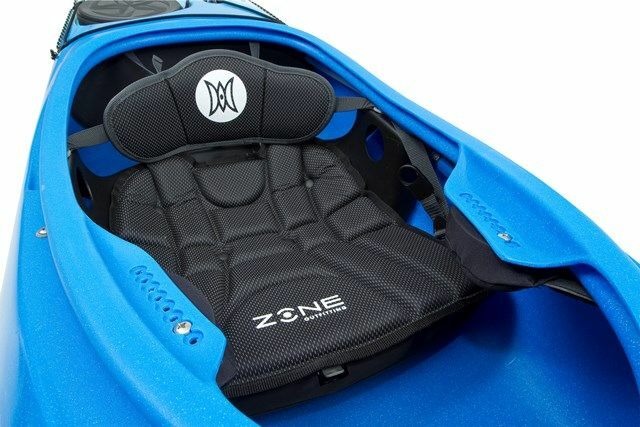 Expression is fantastic and sporty touring kayak with room for overnighters. Twin hatch, drop down skeg and deck lines! Perception got this one spot on! The Expression 15 is a fantastic sporty, fast & fun touring style kayak that is responsive yet still manages to retain a solid user friendly feel. The Expression 15 is the larger of the two Expressions, and gives bigger paddlers a comfortable tourer that excels in most water conditions, The Expression is a great choice for paddlers looking for a boat that can handle short multi day trips but also is compact and fun enough to paddle for quick exercise runs up and down your local canal, river or piece of coast line. Scenic lakes and coastal swells can be equally exhilarating... no matter where your aspirations lie, if you want to experience them to the full, the new Expression range will take you there. Packed with charisma and boasting exceptional traits for kayaks of their size, they'll fuel your passion for paddling with fast acceleration and an impressive top speed. Maximum forward efficiency is balanced with responsive control which will inspire you to explore new waters. Width: 61 cm / 24"
Deck Height: 35 cm / 14"
Cockpit Length: 89 cm / 35"
Cockpit Width: 49 cm / 19"